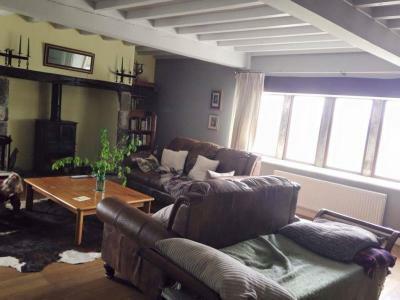 Lock in a great price for Far Moorside Farm B&B – rated 9.5 by recent guests! Susan was very hospitable and welcoming. The location and house was beautiful! I left my nightie and Susan very kindly posted it back to me. Look forward to coming back! The breakfast was delicious, the home made bread was exceptional! Couldn't stop eating it. 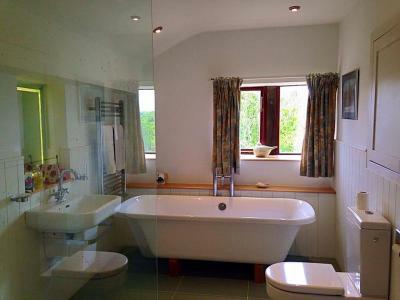 The bathroom is beautiful, the bath in particular was amazing! Loved the two house dogs, Babe the flirt and Arlo the thinker. Loved waking up to the view of a field with sheep, alpacas and llamas, and being allowed to visit them in their field! Loved the gorgeous colours and styles and artwork, some produced by Susan the host! 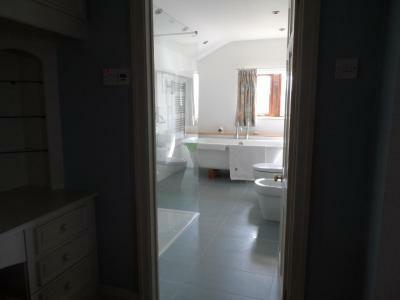 Loved the amazing, huge bathroom with its heated floor. Loved the huge TV. Loved the short walk we took, when we met the alpacas again, and a black pig, and horses being led, and a cat on a stone wall, and spaniels. Loved Susan’s hospitality! Probably the most comfortable super large bed that I have ever slept in! Fabulous bathroom. Lots of care and attention in the little details which helped to make it feel very homely yet still a real treat. Fabulous breakfast with lots of homemade and locally sourced items. Lovely welcoming host. 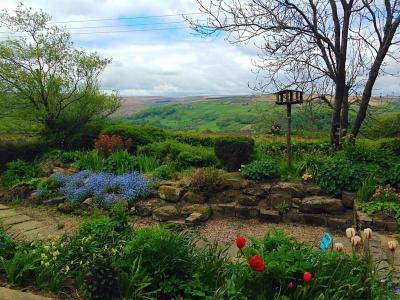 Fabulous location, lovely host, friendly house dogs, comfortable beds, excellent shower, stunning views, home made bread and jam, fresh eggs and local produce. Best cooked breakfast in ages. The location was stunning. Views from our window were fabulous. 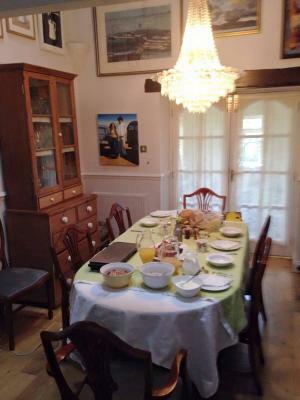 The breakfast was fantastic, freshly made bread and rhubarb - lovely touches. plenty of fresh fruit too. 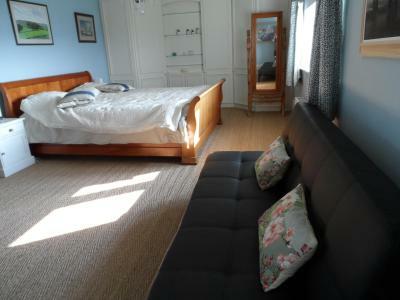 The B & B is a real home from home, Lots of individual touches, paintings, lovely animals and really relaxed atmosphere. 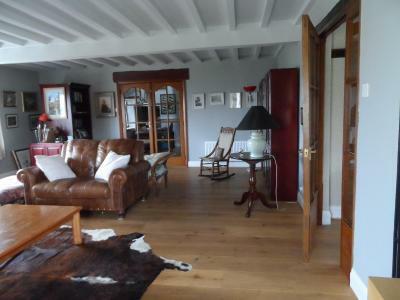 Beautiful location, fantastic views and a lovely spacious house. Our room, bed, and bathroom were all very big and comfortable. Super comfy bed and amazing bathroom with large walk in shower. Room very spacious, with quality furnishings. The host was lovely. Offering a terrace and views of the mountain, Far Moorside Farm B&B is located 5 miles from Hebden Bridge in the West Yorkshire Region. Free WiFi is provided and free private parking is available on site. Some units have a seating area for your convenience. Enjoy a cup of tea while looking out at the pool or garden. All rooms have a private bathroom. For your comfort, you will find free toiletries and a hairdryer. Popular local activities include walking. 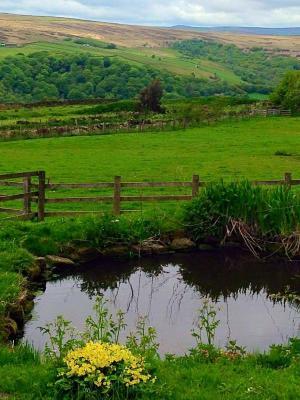 The property is 6.5 miles from Halifax and 17 miles from Keighley. 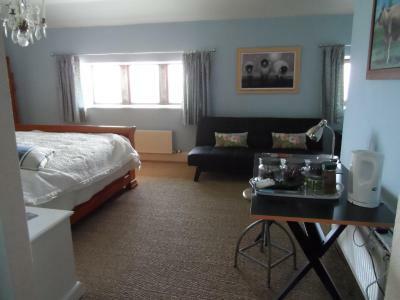 The nearest airport is Leeds Bradford International Airport, 30 miles from the property. 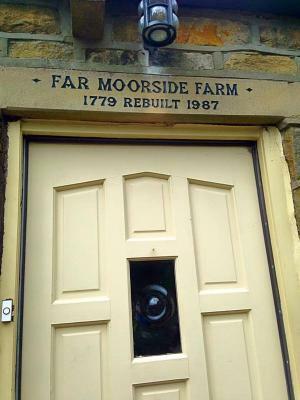 When would you like to stay at Far Moorside Farm B&B? 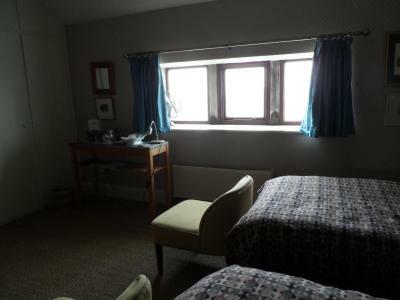 This double room has a seating area, electric kettle and executive lounge access. 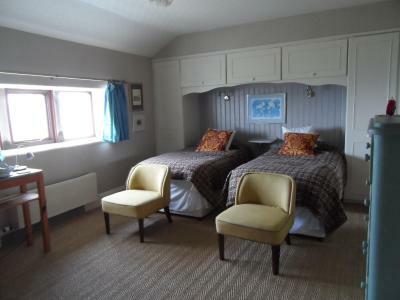 This twin room features a tea/coffee maker, executive lounge access and sauna. 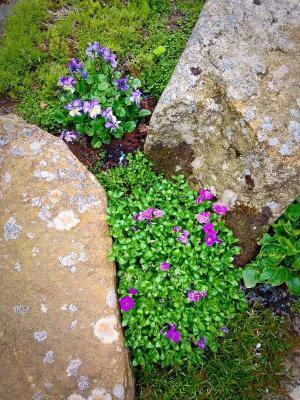 I have managed Far Moorside Farm Bed and Breakfast for the past 2 years, converting our home after my husband's death into a facility to support me and my sheep and hens. This was easy as the East wing of the house is almost self contained, with all the rooms I need for myself; the guest part is 2 storey and has its own entrance, parking, cloakroom and spacious lounge, which is always remarked on. The TV is there, also books, board games and some toys for younger children. My latest improvemant is a glass verandah; in theory to make outdoor meals possible, but we need better weather to try that. 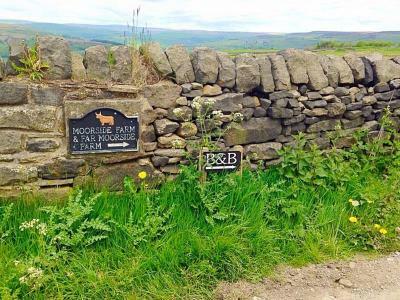 House Rules Far Moorside Farm B&B takes special requests – add in the next step! 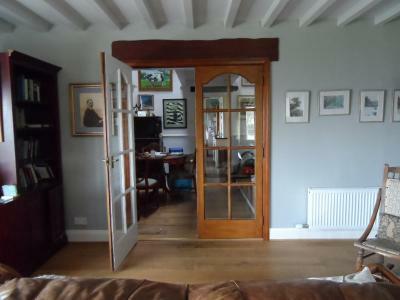 Please note, the property only accepts cash, check or BACS as payment. Please note that this property is a working farm and there are animals on site. The owners of the property have pets. Please inform Far Moorside Farm B&B of your expected arrival time in advance. You can use the Special Requests box when booking, or contact the property directly using the contact details in your confirmation. Being a farm house the road up was a little tricky to negotiate in the dark but was well worth it to reach this gem. The few hundred yards of drive to the house are very pot-holed; not a problem to us, but not suitable for cars with low ground clearance or very low-profile tyres. Lovely location very relaxing place. Was very well lit in hours of darkness, make sure you take a torch if needing to take you dog for a late night toilet break. The only thing I think needs mentioning is that if you are not comfortable with having cats roaming around the house, it should be stated at the time of booking. I realise that it is a farm house and we are both animal lovers, but some people may be allergic to animal fur! Hearty breakfasts, comfy beds, access to log fire in lounge(very welcoming) Altogether a very pleasant ambience. Slightly noisy in the morning in Bedroom 2 as it's above the kitchen. But only a small issue for those that like to sleep late. Susan was an excellent host. Would definitely stay again. Lovely touch to have a free drink provided from a local brewery. The bed was the largest I have ever had in a hotel/B&B and very comfortable. The underfloor heating in the bathroom was a delightful experience. The location is remote and atmospheric. Very child/family friendly. It was a little bit cold in the room (but I don't exactly remember if we did anything with the radiator). There was some noise downstairs for some time, probably some heating or something. We were tired enough to sleep well anyway, but somebody probably would have problems with it. Place is only accessible with car, really, it's quite a distance from HB if on feet, but what a view in the morning! It's a very nice place with a lovely hostess, I felt like at home immediately as I saw a fireplace (although I don't have one at home, lol). Good breakfast, room is spacious enough and with everything we needed. Shower is good, no problem with pressure.